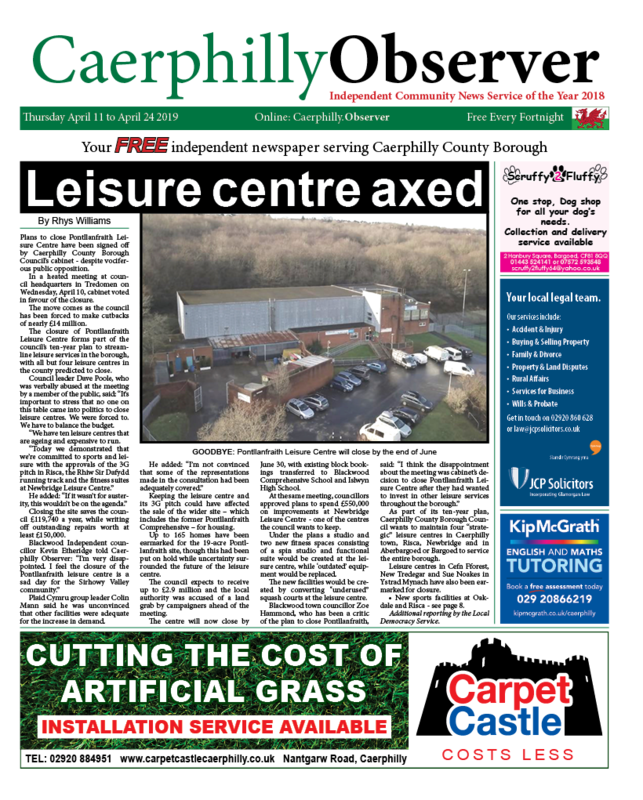 News | Gareth Axenderrie | Published: 14:18, Tuesday July 10th, 2018. Water had become worryingly scarce on Gelligaer common. Photo by Welsh Pony Rescue and Rehoming Charitable Trust. A pony re-homing charity has thanked volunteers and businesses for their help in saving around 240 ponies from dehydration. The Welsh Pony Rescue and Rehoming Charitable Trust have thanked their team of local volunteers as well as local mining and aggregate companies for their help in delivering water to Gelligaer Common. 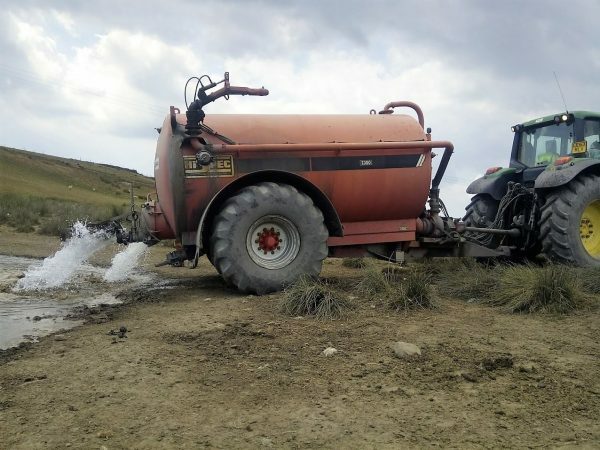 Miller Argent, a mining company operating in the Merthyr Tydfil area, provided a tractor, a water bowser, and a member of staff’s time to deliver water provided by the Hanson UK quarry in Gelligaer. Following the recent hot weather, the wild pony population on the common were at serious risk of dehydration as natural sources of water became dangerously scarce. 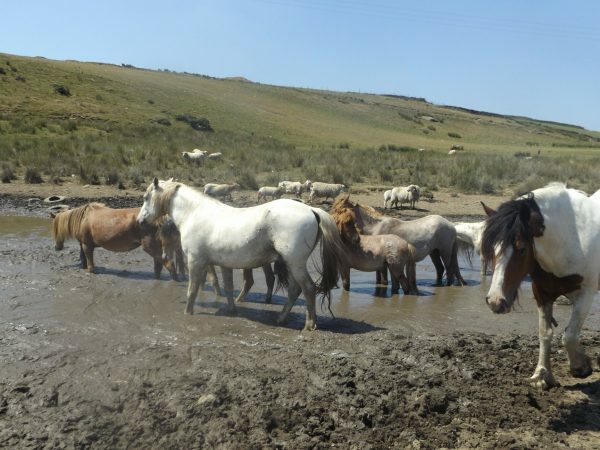 Officers from Caerphilly County Borough Council have been monitoring the situation while there have been reports of the natural watering hole drying up, and ponies becoming trapped in the resulting mud. 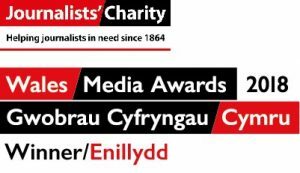 Sharon Mock, volunteer and trustee of the charity, said: “I’m delighted to announce that we now have the situation under control. We want to say a massive thank you to both Miller Argent and Hanson for their ongoing help and support, they have been fantastic. “We now have 20 baths on the common, that are being regularly filled up, and the watering hole has been replenished. It has not been this dry here for more than 40 years. The charity’s attention now turns to a lack of food on both the common and its sanctuary on Caerphilly Mountain, where 41 ponies have been taken off Gelligaer Common and castrated ready for re-homing. The hot weather has meant that grass has become scorched and food is scarce in both locations. Around £750 is needed to provide 27 large bails of hay to both sites, and the organisation has started a fundraising page at https://mydonate.bt.com/donation/start.html?charity=185212.